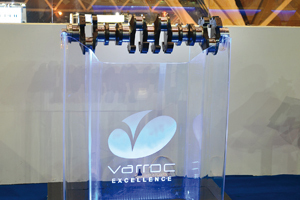 ndian auto parts supplier Varroc Group and France’s Plastic Omnium have ended their joint venture in India, and now Varroc is moving forward with its own expansion plans. Aurangabad-based Varroc sold its 46% stake in the auto exterior venture to Plastic Omnium. The JV, Plastic Omnium Varroc, has operated in Chakan, India, since 2007. “We have amicably decided to grow on our own in the growing Indian automobile market,” said M.P. Sharma, Varroc’s vice president for material & projects, in a telephone interview. Details on the buy-out were finalized in mid-August, he said. Terms were not disclosed. Now Varroc is expanding its polymer division by setting up three new facilities in different parts of India to cater the various automobile hubs. The company is investing around $20m (€15m) in the plants. The first, in Pithampur, will start production in October. The plant – Varroc’s eighth plastics operation – will supply Mahindra & Mahindra and VE Commercial Vehicles. The plant, on a 12.5-acre site, has injection presses ranging from 450-850 tons of clamping force. The second plant, in Bangalore, will open next year. It will supply Honda Motorcycle & Scooters India (HMSI) and automotive plants around Bangalore, Sharma said. The third plant, in Chennai, will open in 2014 and serve the fast-growing automotive hub in that region, he said. In August, Varroc bought Visteon Corp.’s global lighting business. That business has 4,200 employee at plants in Monterrey, Mexico; Pune, India; and two sites in the Czech Republic — Novy Jicin and Rychvald.